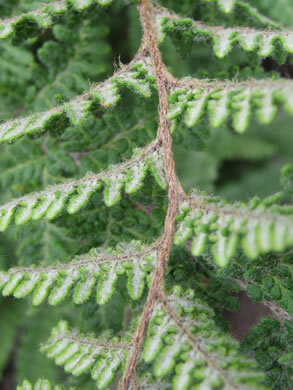 Fronds curl up when dry but become fresh & green again with rain, per Field Guide to the Ferns and Other Pteridophytes of Georgia. 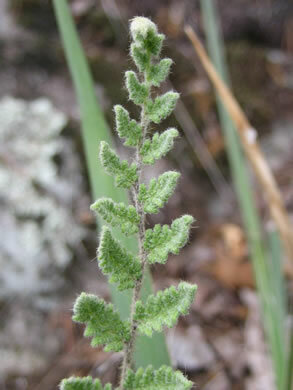 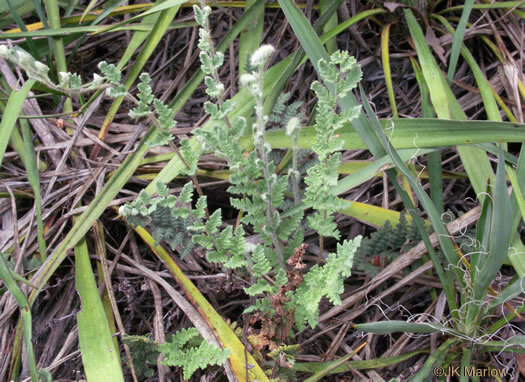 The blade's ultimate segments pinched at the base so as to appear beadlike, per Ferns of the Smokies. 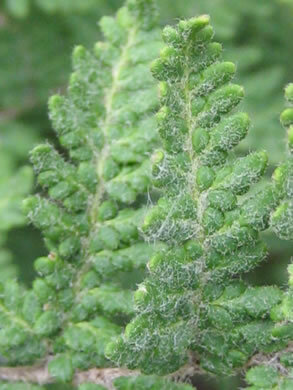 Pinnae slightly hairy above, densely woolly beneath, per Peterson Field Guide to Ferns of Northeastern and Central North America. 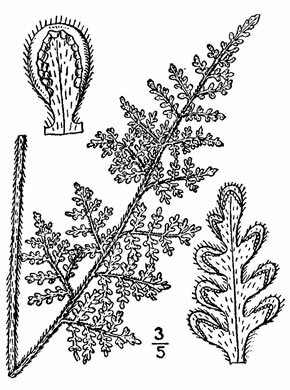 Pinnules deeply cut into oblong lobes, per Peterson Field Guide to Ferns of Northeastern and Central North America. 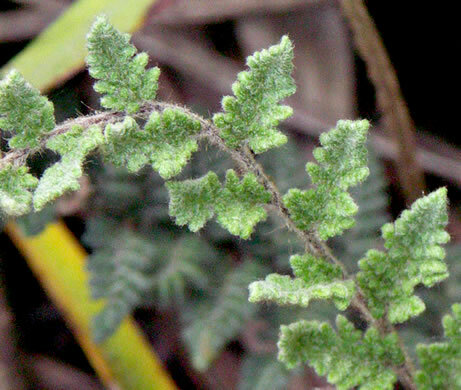 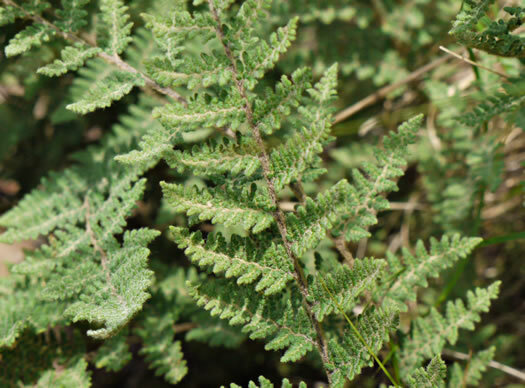 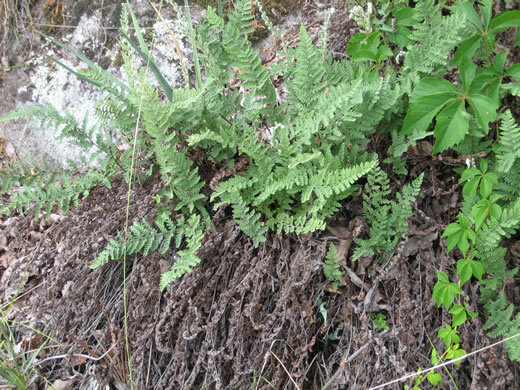 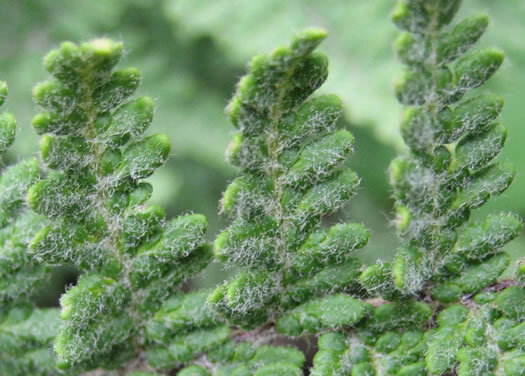 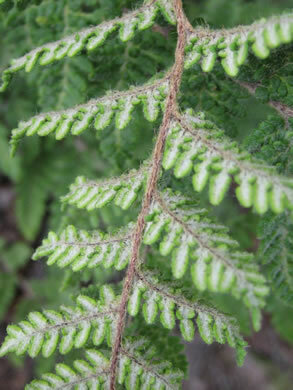 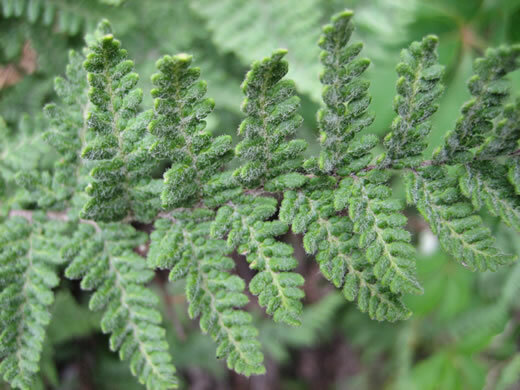 Rachis brown, densely hairy and scaly, per Field Guide to the Ferns and Other Pteridophytes of Georgia.